Activating the tool is simple: just tap the light bulb icon in the upper right corner. The interface should automatically open the Tell Me search box, then all one has to do is start typing. The most common or obvious answers should pop up immediately, alleviating the need to hunt through half a dozen menus. 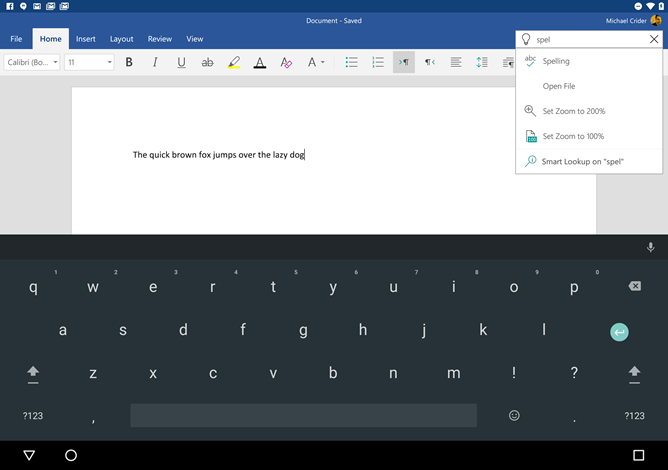 In addition to the Tell Me update to all three programs, Word gets improvements to its built-in autocomplete engine and expandable or collapsible rows and columns in outlines. Excel can now merge and split cells in the mobile editor. All three apps appear to be updated at the time of writing, so there's no need to hunt for the latest APK versions.